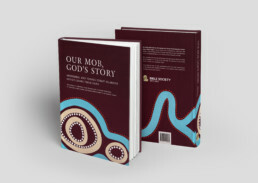 It is the goal of Bible Society Australia to translate, publish, distribute and engage people with the Bible. 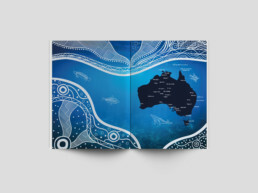 The organisation is over 200 years old, making it one of the oldest of its kind in Australia. 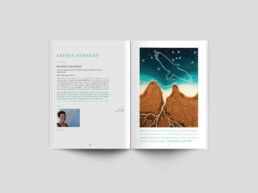 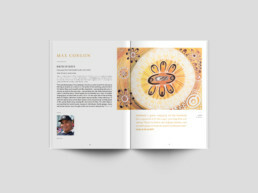 Dreamtime Creative designed ‘Our Mob, God’s Story’ to showcase Aboriginal and Torres Strait Islander artists and their representation of bible stories. 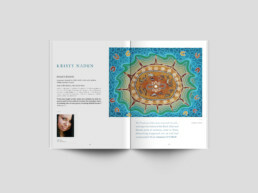 The project included a preview book and coffee table book which was perfect bound with hardcover and slipcase.